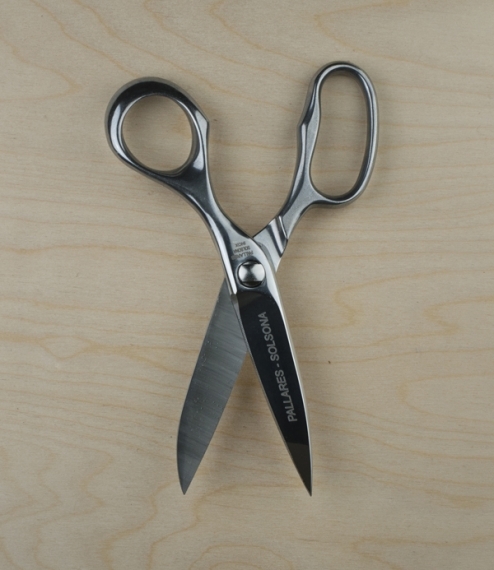 Heavyweight and beautifully finished hot forged stainless steel kitchen scissors with the lower blade fine serrated for grip and the upper smooth ground to allow effective sharpening - a process further facilitated by the the relative ease of disassembly a nut and bolt pivot allows. From the workshops of Cuchillería Pallarès the one surviving knife and tool maker in a town once dotted with small manufacturers. Now with a workforce of 15 the management still split their time between administrative necessity and manual craft production. 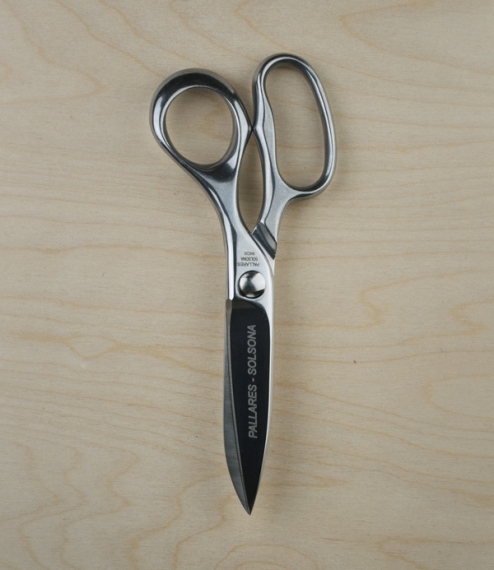 A choice of 8" or 9" overall length.